I live in New Zealand in a cave on the side of a hill with four dragonets and a shape-shifter. I’ve been lucky enough to get some awards for my writing. Dragons have sneaked into many of my books. Now they’re sticking their fire-breathing snouts into more of my stories. As you read them, I hope you enjoy swooping through the sky, blasting monsters, and playing with magic. Coming soon, are books featuring Taekwon-do, and interactive mountain bike adventures (with portals leading to other worlds). So, put on your safety gear and come for a ride! If you want cool free stuff and kids books, go here. If you like supernatural powers, falling in love, motorbiking, free diving, dragon riders, or adventures in strange worlds, I’ll have free stuff to giveaway soon. Just go here to sign up to my readers list. Occasionally, editors twist my arm to write dark, scary stuff – so I have stories in horror anthologies. But I usually prefer writing books with happy endings. Go here to hear about all my books. In 2014 & 2015, I had fun organizing Wellington’s Storylines Family Day for thousands of kids – a festival bringing books alive through performances, crafts, and crazy activities with kiwi authors and illustrators. In between writing, I sing, run tree-planting projects for kids, and juggle my four dragonets, usually without dropping them. Eileen Mueller – my surname comes from a harmonica-playing wonder I met in the Swiss Alps. Our dragon den rocks to blues harp, jazz piano, and songs in Swiss-German. My kids and husband create great music – while I create worlds, clacking away on my keyboard! Join me in my journey, read my stories, and sign up for free goodies! It’ll be great to have you along for the ride. If you’re a writer wanting cool tips and great resources, sign up to my newsletter Write On! With Eileen in the blue box in the sidebar. 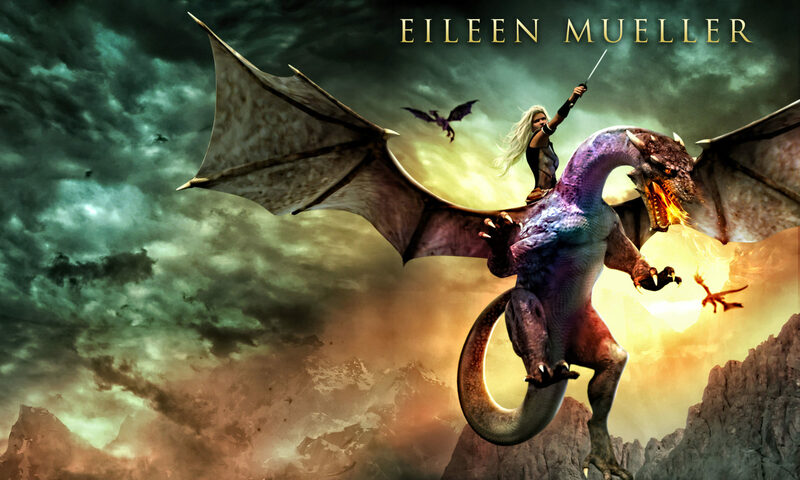 Eileen Mueller is a member of NZ Society of Authors, SpecFicNZ, Storylines NZ, Romance Writers NZ, Wellington Children’s Book Association and Science Fiction & Fantasy Association of NZ.